Believe it or not, interviews with Metroid Prime: Federation Force producer Kensuke Tanabe are still popping up. USgamer published its piece today. In this interview, Tanabe addressed topics pertaining to amiibo, the initial backlash, timeline, story, and even Retro Studios. We’ve rounded up a number of excerpts below. For the full interview, head on over here. So while I do have a few ideas, I can’t quite tell you at this time since they’re not all finalized, but there are some ideas coming. If possible at all, it would be nice to have an Amiibo of the mech. I was quite surprised by the backlash, because as far as from a development perspective, I’ve been putting a lot of emphasis into game play and the way the game feels when you play it — as well as the creation of the universe to be within the Prime series, but at the same time I get the feeling that people are talking a little too much about the visuals they have seen through videos they have seen so far. Again, it will be different once you have the hands-on experience. While there is a lot of backlash as you pointed out, this a perfect chance for me to turn the table around and get people to start liking it. If people are already paying attention to it, there’s always room to get that to work in a positive way – to get interested in a nice way about the game. I do feel that this is a similar reaction to when we first announced Wind Waker from Zelda. Eventually people started to understand what the game was about, and I still believe that there is still going to be something similar in that respect here. First off, I’d love people out there experience the game, to see how the game feels when you actually play it, not just by looking at how the graphics look. It may look like there are similarities, but it is quite different from Hunters. In Prime Hunters, my idea was to introduce new bounty hunters to the universe. The game itself was more focused on single play and in multi-player mode; there was a side story — as an extra. It was more like a survival mode type of environment. However, this time you work as a team and strategize your battle as you go through the mission to end each of them. If you look at the way game feels when you actually play, it is pretty much exactly the way previous Prime games have been, if you actually get the chance to take a look at it. First off, [Yoshio] Sakamoto is behind the main series, taking care of all of that, the timeline. I’m in charge of the Prime series. I had the conversation with him to decide where exactly would be a good spot for me to stick the Prime universe into that whole timeline and the best place would be between Metroid II and Super Metroid. As you know, there are multiple titles in the Metroid Prime series, but everything takes place in that very specific point. Metroid Series go down the line, but with the Prime Universe, we have to stretch sideways to expand it as much as we can in that specific spot. 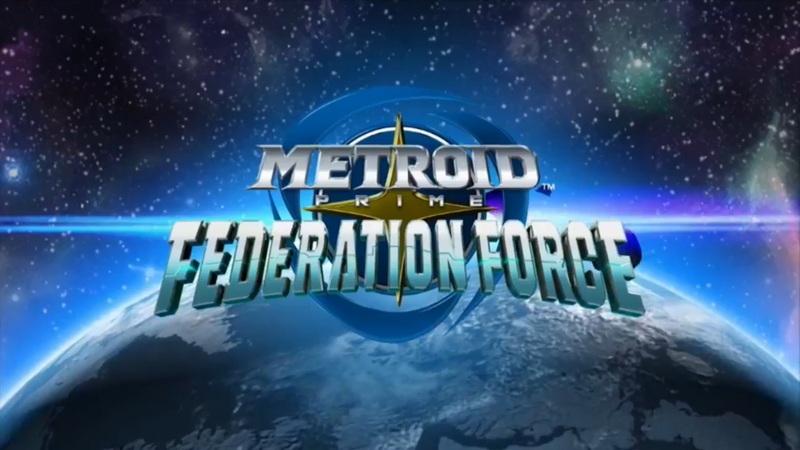 There isn’t a very specific place within the Metroid Prime timeline, but somewhere in the Prime 1, 2, 3, Hunters, and Federation Force, it’s somewhere within that. One of the bounty hunters that appeared in Prime Hunters was named Silux. I do have an idea to have Silux back and to have a story that involves Silux and Samus. In that sense, that story would possibly take place after Prime 3. 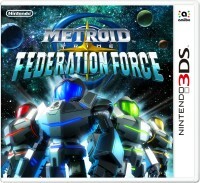 But for that the Federation Force would also be involved. It would be in the big picture of it as well. I do have a story for the game. The player will be a member of the Galactic Federation. The player will be a selected member who will go through some training and eventually prepare for a mission as mentioned earlier, to conduct research on these three different planets that are in this universe. As part of that training, Blast Ball is included. As a player, after you go through all of these things, when you get to conduct your research on the planets, you find out that while you thought the planet was just ruins, the Space Pirates were plotting something against the Galactic Federation: They were making this hidden weapon and you accidentally find it when you get to that. Your mission as a player will be to stop them from proceeding with that. Along the lines with those missions, I’d like to have one special mission that will connect that to the future. This is closer to Prime 3. As you accomplish each mission, you will be able to unfold the story. You will be able to obtain more information. So you have to proceed a little further along the mission in order to find out what the Space Pirates were actually plotting against you. There is not a very set way to go through these missions, but the plan is that you have three missions. You can jump into any of those, but if you clear all three of those, you unlock three more missions that you can go through and choose from, unfolding the story in that way. The whole story around Dark Samus and Phazon are complete stories. But for the future, what I have in mind is something involving Silux and Samus with the Federation Force, so to put a focus on that. While I still don’t have a concrete idea on how many games that could be involving between these two, there’s something relating to Silux that has made Silux hate Samus. So in that way, it might be backtracking a bit in the timeline to explain that a little bit, to clarify what is going to happen between the two of them. KT: You can say it that way, but obviously, you will be able to learn something about the Prime Universe with this game. I am definitely creating this game with it in mind that players can enjoy it as much as they did previous Prime titles. With that in mind, I would love players to experience this as well. The whole development has been done by Next Level Games. There was just one part — for the design for the mechs, Retro had the supervisory role for this game. I’ve always been working with Next Level Games in titles like Mario Strikers, Punch-Out! !, and Luigi’s Mansion 2, so we’ve always had a good relationship. While there were other titles like Hunters that was developed by NST, this time, timing-wise it didn’t work well, so when I brought this idea to Next Level Games, they were very excited about it and said, “We would definitely want to work on this!” And that’s how we started working on it together. I’m not quite sure about the stuff that they’re working on at this time.